2) never have to watch JR play again. Haha! He was no Jeff Cook or Steve Hayes, though. 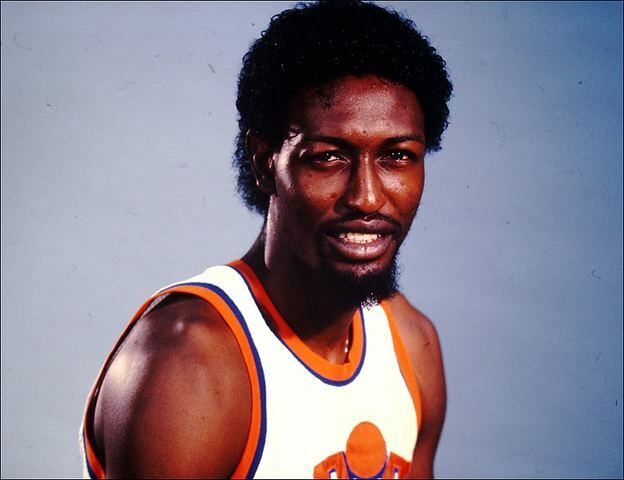 Actually, my fav of the World B Free Cavs was Edgar Jones. That guy was a riot! Heck of a nice guy, too. Would take the time to talk to us kids after every game. Ha! A group of us actually used to wave an Edgar Jones Fan Club banner at the games. After the season where they lost 3-1 to Boston in the playoffs, EJ asked us if he could have the banner to hang in his home. We happily gave it to him. Whether he really did hang it in his home, or used it to wrap a corpse or something...we don't really know, but he was very funny and always nice to us. He once said, "A man must know his limitations. I have none." He had plenty of limitations on the court, but he was a pretty acrobatic dunker for being so tall. But, Clark, you said it yourself: the Cavs are saddled with so many contracts that most teams won't touch. How can the Cavs reshape this team into a legitimate winner without draft picks? Gilbert and Altman have the same problem they had when James was here: top heavy contracts being paid to players of middling ability. The only difference is the difference-maker is gone. Philadelphia was in tank mode not too long ago. They made judicious use of the draft and now that team is poised to challenge for the Eastern Conference title with Boston. These ‘bad’ contracts will be expiring contract soon ... much easier to move ... for every Philly trust the process there is a Sacramento with no process tank ... tanking is not a guarantee to long term success ... Golden State didn’t ‘tank’ they tried to rebuild ... their top picks were more because of injuries than tanking ... Houston didn’t tank ... Boston didn’t tank ... making smart good long term deals is the key ... just trading Love for the first draft pick is not the way to go ... yea, if someone blows your socks off with an offer, take it ... but to trade him for mid to late first round picks is dumb ... hopefully a Brooklyn/NJ comes along an offers you multiple unprotected high draft picks for Love ... but I wouldn’t be my house on it. For me my over/under for wins next year is 35 (the of games the Lakers won this year) ... my be Gilbert does everything he can to win at least that many games. The Cavs can virtually eliminate their entire payroll in 24 months if they so choose. Hill & J.R. - Owed $33 million for '19-'20, roughly $28 million of which is non-guaranteed if cut, traded and cut, etc. Re: Love: Let's get real. He's not opting in next summer and will be moved at the deadline for the best combination of rookie contracts, draft picks and expiring salaries. Next summer mediocre and worse cash strapped teams will be chomping at the bit to offload a couple years of junk contracts to the Cavs + picks for the right to cut Hill and/or JR for next to nothing. With how quickly the Cavs are going to gut salary and get younger, it will be worth taking on the next Baron Davis. I see those two eventually netting 1-2 first rounders over the next three drafts. The asset collection outlet looks far better than it did in 2010, so long as they play the game and don't go all in on going .500. The issue for the Cavs, much like the Browns, despite who is in charge they cannot identify talent in the draft. Maybe Altman bucks the trend, I'll believe it when I see it. But Boston did strip away their best players in KG and Paul Pierce. Much like Cleveland would deal away Kevin Love. Boston just got stupid lucky. Like many things, tanking stops being cool when everyone is doing it. The Cavs, like 29 other NBA teams, are not starting 5 NBA all-stars. As such, they aren't expected to contend for the NBA Championship. Equally important, the Cavs have ZERO commitments beyond 2020. Yeah, George Hill, JR Smith and Kyle Korver in their 30's aren't long-term solutions, but they also aren't long-term liabilities. They also aren't going to net us much in trade talks. Dan Gilbert may even have to pay people to take their contracts. Dan Gilbert is better off riding Kevin Love and our remaining veterans to a low playoff seed. The added revenue playoff games will bring his casino significantly exceed what he could make getting JR off his book for one or two years. Also note, we don't have any 2nd round pick in 2019 either. 2020 on the other hand, we have both our 1st and 2nd round picks without any restrictions and at this point Love would likely just have left in free-agency. Much more favorable for Dan Gilbert and the Cavs to tank in 2020 after trying in 2019. The 2019 draft class isn't even good. Or they could tank in both years to acquire the most possible talent. The Spurs got Kawhi Leonard in the middle of the first round in a draft that "wasn't very good". The next two years they should be aiming to pick in the top-10 to keep their two first rounders, while figuring out how to convert their contracts into two more first rounders. They should be accumulating draft assets and figuring out how to be much better at talent evaluation than the last time they went through this. Or they could tank and draft Anthony Bennett again ... and be terrrrrrible for the next 10 years. Hey, they still have Kendrick Perkins. You'd rather the Cavs finish with 35 wins every year, occasionally overperforming and winning 41 games? Because that's where they're headed right now. Yeah, I'm not really interested in watching them overspend and trade for expensive above average guys so that they can consistently finish between 7th-10th in the East and occasionally get boat raced in the first round of the playoffs. The only way they can ever have a consistent playoff team with some capacity to advance is to strip it down and build through the draft getting guys they can control for several years on cheaper salaries, filling the gaps here and there with above average free agents. We can make the playoffs this season without any additional spending. As is, the roster has plenty of talent to contend for a playoff spot in the trash eastern conference. Additionally, we have both $5.3 and $5.8 million dollar trade exceptions we could use to bring in additional pieces. Not superstars, but also guys who could help this season without jeopardizes ourselves long-term. After our playoff appearance next season, Atlanta will get our 20thish overall pick. Big deal. We will move into 2019 without any serious long-term contract liabilities and young guys like Cedi Osman and Larry Nance will have some actual NBA playoff experience rather than NBA playoff bench experience. After leading us to the playoffs, Kevin Love will opt out, giving us a better opportunity to try and get a lottery pick. Even mid-level guys are flying off the board rapidly in free agency. Most teams are really tight on cap space this year, and no one's waiting around. They're not getting any contributors with the cap exception slots. I'm not really seeing any possible first round opponents they could actually beat in a seven game series. They'll get dik pounded if they play Boston or Philly. It's throwing away a lottery pick in a draft that will have RJ Barrett and Zion Williamson as well as a Love trade first rounder to say the team made the playoffs without LeBron and won 1 or 2 games. It's stupid. .... I understand what you are saying ... I just know what the Cavs are ... a mid market team ... the choices are complete tanking (Philly & Sacramento) or rebuilding (Utah & Indiana) ... with tanking you will get at least 4 to 5 years of really bad basketball, followed by (if your lucky) 3 to 4 years of good basketball ... then your stars leave ... rebuilding gets you one ot two years of bad basketball, 3 to 4 years average/decent basketball, and maybe a couple years of good basketball ... I prefer the rebuild to the tanking ... you guys seem to think tanking is an automatic guide to success ... yes, it seems to be working for Philly ... but Sacramento shows that it is not automatic ... for me having a team that is fairly consitently watchable is better than having an unwatchable team for 5 or more years to hopefully get 3 to 4 years of good basketball ... just one man’s opinion! Utah and Indiana had something during their rebuilds that the Cavs don't: young stars. In 2008-09 Utah had 3rd year and 4th players in Paul Milsap and Deron Williams. In 2011 they added a top 10 pick of Gordon Hayward. In 2008-09 the Pacers had 3rd year player Danny Granger and rookie Roy Hibbert. In 2010 they added top 10 pick in Paul George. The Cavs don't have anyone that fits that. They don't have someone to rebuild around. You can point to Kevin Love - but in 3 years (assuming he is on the roster then) the Cavs are left with a 32 year old injury prone big man. They don't have those multiple young stars to build around and add to. This is exactly what I am talking about ... winning 19 games like last time LA Bron left is what I am trying to avoid ... there is a happy medium ... that is why I call it rebuild not tank ... and if you get a really good deal for Love you move him ... but not for the first bag of basketballs offered ... I would add in developing Osman and Zizic as well. If anyone cares, Jeff Green has agreed to a deal with the Wizards. Now the Cavs can play team basketball. As good as James is, if you are on his team, you don't play WITH LeBron, you play FOR LeBron. Low playoff seed, unless you are a young team on the way up, is NBA hell. Too good for the lottery, too bad to actually be a contender. Just spinning your wheels. Then you suggest putting off tanking for two years? Why prolong the misery? Not tanking guarantees mediocrity for the next 10 years. Except that sounds like exactly what the organization wants to do... scratch out a 7 or 8 seed for vanity. Sacramento fans would love to be mediocre ... or have Indiana or Utah’s record over the last ten years.